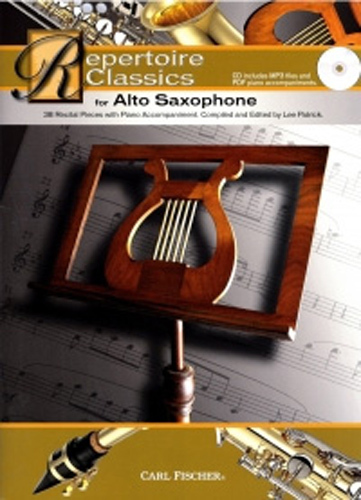 Carl Fischer?s Repertoire Classics series consists of comprehensive and progressively graded collections of classic solos for alto saxophone with piano accompaniment. Each book contains a fine mix of transcriptions of familiar classics along with solos written specifically for the alto saxophone. As an added bonus, the included data CD contains MP3 audio files of the piano accompaniments to make practicing more fun. It also contains piano accompaniment parts for all pieces in the collection.